Dear Reader, What do you do with the unexpected? Saturday morning I was moseying along when something jostled me, and my daily cup of morning coffee sloshed over the back of my hand. 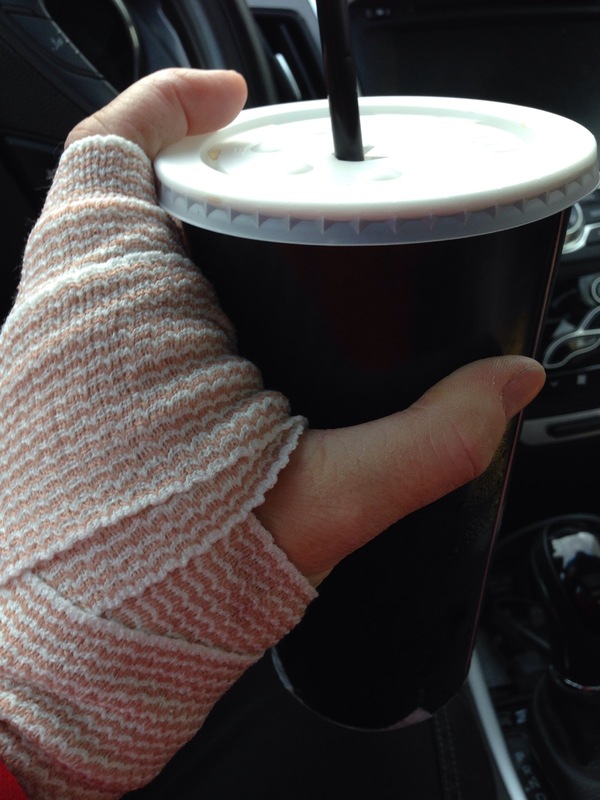 I tried to hold on and salvage it–I mean, it was my COFFEE! My friend! My muse! My EVERYTHING!–before finally letting the cup drop to the ground. But the damage was done. That coffee was hot. So hot, it melted off a full layer of skin without even bothering to blister it first. I can’t do anything with my hand that involves dirt or water, including gardening and the dishes (***wink, wink, dear husband!***). I’m feeling a bit like The Fugitive in my own home. Although laundry, unfortunately, can be done quite well with one arm. Otherwise, it turns out that there’s a lot of daily activities that involve dirt and water. And even more in my work as a nurse. …it’s throwing off my groove. Has something like that ever happened to you? Something unexpected that forces you to slow down? To pause? To take a deep breath and be still? Last evening, I wanted to spread mulch and pull weeds and get stuff done, but I couldn’t. So I sat on our patio swing. Before long, my dog was swinging with me. It is good to be still. Especially with the ones I love. With all the busy-ness of back-to-school and life in general, finding time to savor the here-and-now feels counterculture. Unnerving. Weird. But oh the peace of realizing not everything has to happen right. this. very. minute! 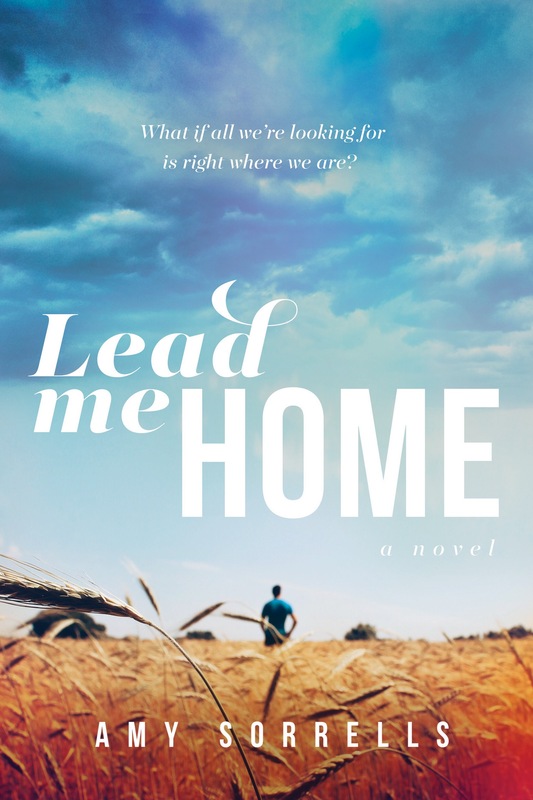 If I’ve learned anything about writing novels, it’s that the story will get written in its time. I struggled for a long time feeling like my words had to be perfect when I turn them in to my editors. Not that I want to give them crap, of course. But you see, I’ve been amazed time and time again as my manuscripts go through the editing process how–just when I think I’m either done or at my wit’s end–precisely the perfect anecdote or bit of factual setting information or visual that I need to make a section of the story shine “lands in my lap” at the very last minute. 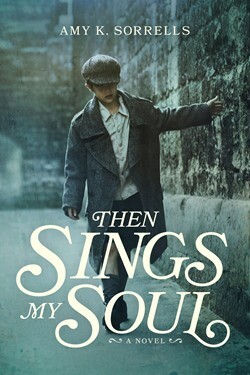 This even happened with the stone which appears on the cover of Then Sings My Soul. These small gifts of thoughts and phrases happen in unforced spaces and unpredictable moments. In the grace of the empty. In the elusiveness of now. Sometimes the predicaments we find ourselves in are precisely the quenching solutions God offers for places within us we haven’t even realized are parched. What do you do with the unexpected, Dear Reader? If you’ve been forced to the sidelines or to be still, what have you learned there? ← hems and notions. a poem. 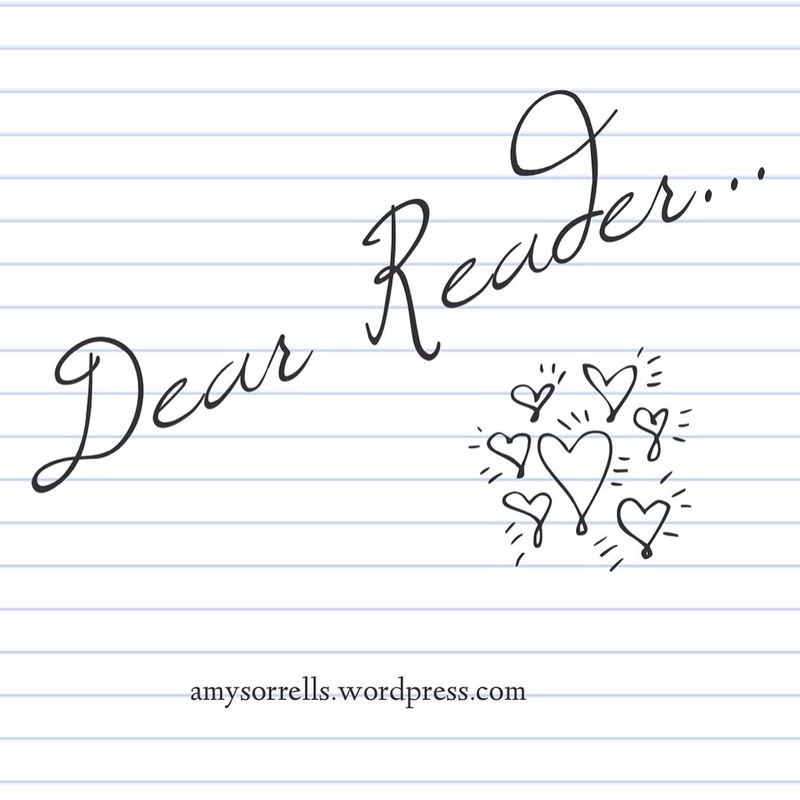 Amy – I love this writing here right now of yours. I have been running to Elizabeth Gilbert’s “Big Magic” Podcasts and one thing she mentioned the other day in podcast 3 or 4 – was to stop and at the end of the day write down 5 things you heard or saw that day – “heard or saw” – write them down. I loved that – it is a forced intention to do much of the same as what you are asking us to do and for that I am thankful of the reminder. I had forgotten already in my own business that this was something I wanted to begin to practice. So where I am sorry about your hand I am thankful for the reminder. When my Dad was very sick once in the hospital in a coma for 4 months when he woke he was so thankful for the birds singing – it was as if it was a sound he had never heard before. He forced me to literally stop and listen to them. I hear birds differently because of him and today I will stop drinking my coffee early this morning for a bit and listen to what is around me…right now it’s my family’s very old grandfather clock (sort of loudly) ticking in a very methodically way…telling me to get busy painting! The reason I am up so early – so I guess I better do so. Love you and thank you for your gifted words. Amy, thank you so much for this reminder to stop and listen and reflect. It’s so easy to ignore His signs, messages and miracles, when we don’t take the time to hear Him. God has a way of saying enough is enough, it is now time to listen. Sometimes, He will get our attention by an accident that will force us to pay attention. I’m sorry you burned your hand and I hope it heals quickly for you.